North Korean dictator Kim Jong Un clapped his hands and said he was "deeply moved" as he, along with his wife and hundreds of other citizens, watched a rare performance by South Korean pop stars visiting Pyongyang. The concert highlights the thawing ties between the rivals after years of friction over the North's nuclear program. During Sunday's performance at the packed 1,500-seat East Pyongyang Grand Theater, North Korean concertgoers — most of the men in dark suits but some women in colorful traditional "hanbok" dresses — waved their hands from their seats when the South Korean stars joined together to sing a popular Korean song, "Our wish is unification." After the two-hour performance ended, the North Koreans gave a thundering standing ovation. 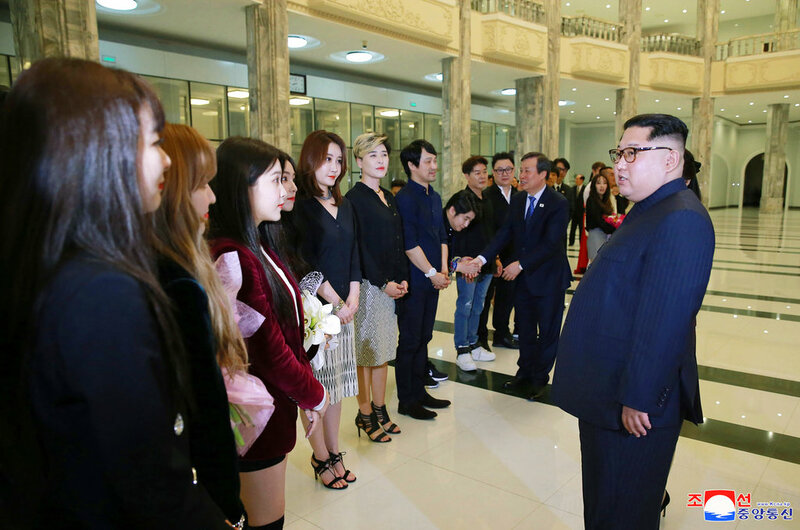 A South Korean artistic group, including some pop legends and the popular girl band Red Velvet, flew to Pyongyang over the weekend for two performances in the North Korean capital, one on Sunday and the other on Tuesday. How North Koreans would react to Red Velvet was a focus of keen media attention in South Korea. 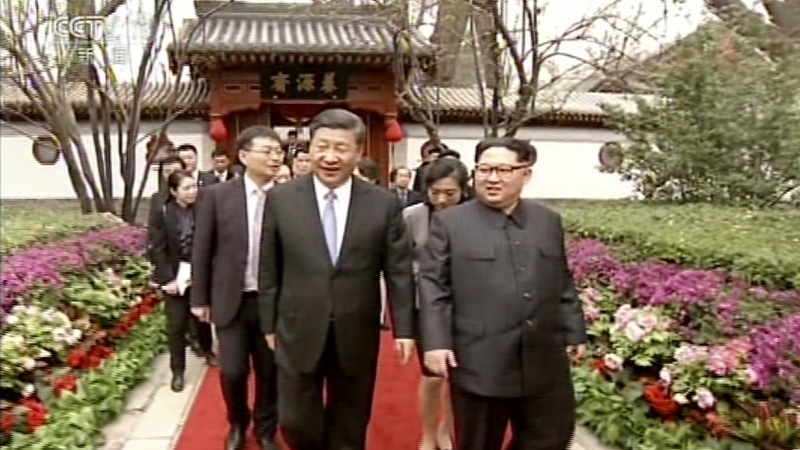 Kim, wearing a dark Mao-style suit, made a surprise visit to the performance with his wife Ri Sol Ju, sister Kim Yo Jong and other senior North Korean officials, including nominal head of state Kim Yong Nam. Kim Jong Un applauded during the event and shook hands with the South Korean performers. He also took a group photo with them after their performance, according to North Korea's state news agency and South Korean media pool reports from Pyongyang. Kim "said that he was deeply moved to see our people sincerely acclaiming the performance, deepening the understanding of the popular art of the South side," the North's Korean Central News Agency said. Short South Korean media pool footage showed Kim clapping from the second-floor VIP stand as South Korean Culture Minister Do Jong-hwan bowed and greeted North Korean spectators looking on from the first floor. "We should hold culture and art performances frequently," Kim told South Korean performers. Mentioning the performance's title, "Spring comes," Kim also asked the performers to tell South Korean President Moon Jae-in that the two Koreas should hold a similar event in Seoul in the autumn, according to South Korean media pool reports. "There had been interest in whether I would come and see Red Velvet. I had initially planned to attend a performance the day after tomorrow but I came here today after adjusting my schedule," Kim was quoted as saying. "I thank you for this kind of gift to Pyongyang's citizens." It was the first time for a North Korean leader to attend such a South Korean performance in the North. During a past period of detente, South Korea occasionally sent pop singers to North Korea, but that stopped in 2005. The 26-second South Korean video clip showed a quiet audience when members of Red Velvet, wearing clothes less revealing than their normal stage costumes, danced and sang their popular hit song "Red Flavor." Full video of their and other South Korean singers' performances wasn't immediately available. But Red Velvet said in a post-concert interview that the North Koreans gave them a big hand. Band member Seulgi said she cried when North and South Koreans sang together the song, "Our Wish is Unification." Another member Yeri said she was "very" nervous when she exchanged handshakes with Kim Jong Un, but she said it was still "really, really an honor" to do so. The South Korean group includes prominent singers such as Cho Yong-pil, Lee Sunhee and Cho Jin Hee, who all previously performed in Pyongyang. 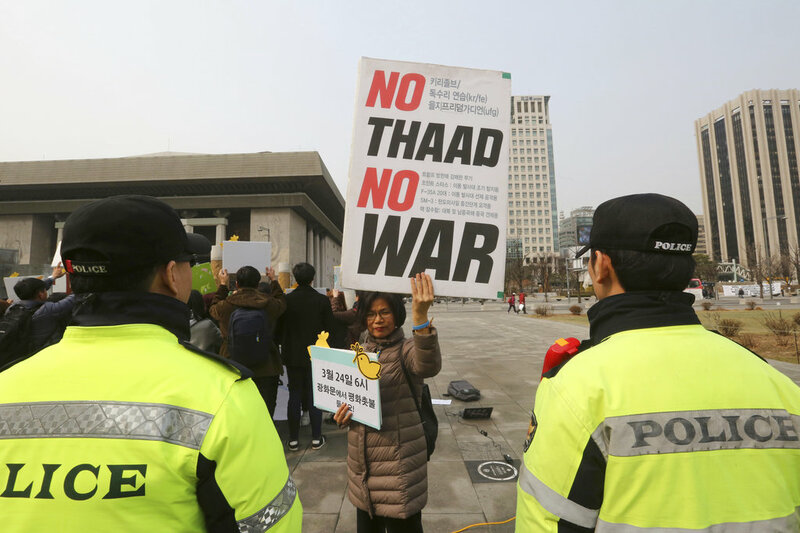 The ongoing cooperation steps between the rivals began after North Korea took part in February's Winter Olympics in Pyeongchang, South Korea. During the games, a North Korean art troupe performed in South Korea, and Moon and his wife watched it with visiting senior North Korean officials including Kim Yo Jong, who became the first member of the North's ruling Kim family to visit the South since the end of the 1950-53 Korean War. 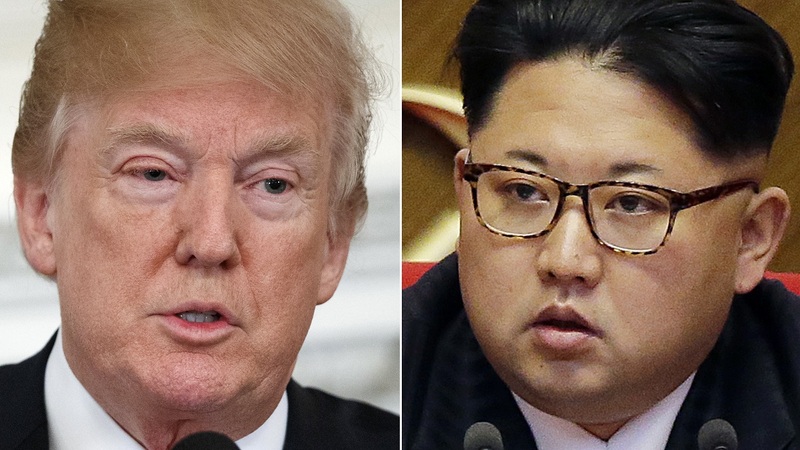 Some experts suspect Kim Jong Un may be attempting to use his outreach to Seoul and Washington as a way to weaken international sanctions and buy time to further advance his nuclear bomb program.